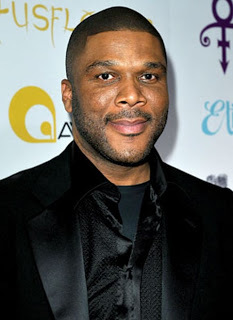 Actor and director Tyler Perry took to social media to mourn the unexpected passing of legendary musician Prince at age 57. "Doves are crying today," the 46-year-old writes. "About 12 years ago, I was playing the Kodak Theater in LA. I was on my way to the theater when my phone rang. I answered and heard a voice that almost made me wreck the car. The voice said, "I hear you're doing a bit of Purple Rain in your show. Do it again and I'm going to sue you... and I need 10 tickets and I'll be there tonight.” Click. I freaked out. Prince had called me!! So that night I waited at the backstage door for him to arrive. I was nervous and hoping he didn't get out of the car with 9 lawyers… lol. The limo pulls up and there he was. He got out smiling and laughing. I knew then he was joking (kinda). One of the first things he said was that he was a fan of mine. That blew me away. "Prince WHAT?” I thought. Can you say mind numbing?! Anyway, we chatted for a while, but time seemed to fly by. Soon enough, I had to get dressed and start the show. During the play I would glance at him, and he seemed to be having an awesome time. Man! Prince was watching me perform!! And enjoying it! Then we got to the part in the play where I had been doing a few lines of Purple Rain. I stopped and looked at him sitting in the audience. We made eye contact and he nodded to me. So, I queued the band to start playing Purple Rain and had someone bring Prince the microphone in the audience... BIG MISTAKE! He started to sing Purple Rain and the audience went CRAZY! I had never heard that kind of roar from a crowd before. 3400 people losing their minds!! He sang one verse and the audience was blown away. There was a standing ovation for him AT MY SHOW...lol. He was done singing and the audience wouldn't stop applauding him. I still had 20 minutes to go before MY show was over. I knew at that moment that I had just been educated by royalty!! The lesson: never give your microphone to a legend at your show!!! LOL On the rare occasion that I had the privilege to spend some private time with him, I always new I was in the presence of someone special, someone incredible, someone brilliant. Whether we were at the White House or standing in his kitchen talking, he was consistently an icon! 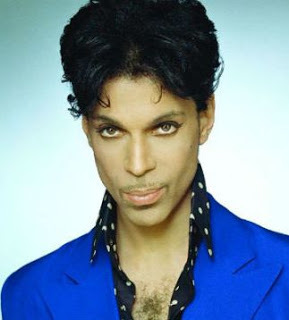 Whether I was in a crowd of thousands watching him perform or one of the handful in his basement listening to him sing for hours, he was always consistent, always royal, always a legend, always Prince. He gave us so much of his genius that it is impossible to forget that he walked this planet. And who would want to? Thousands of years from now the world will still know that Prince was here. Travel well my beautiful friend."